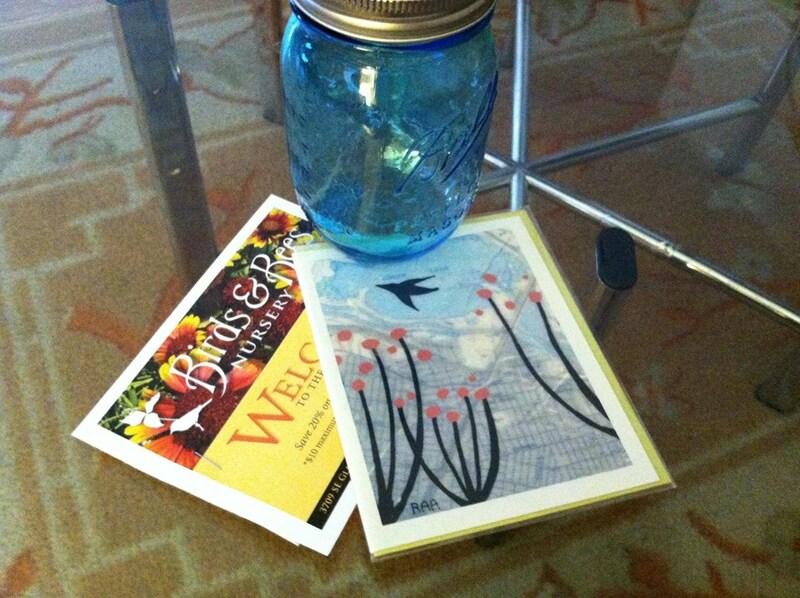 Some of the lovely gifts from neighborhood businesses! Not only can you join one of our fabulous committees but we have multiple ways you can engage in our neighborhood, from one time events such as helping with the Block Party for National Night Out to ongoing projects like Welcome Wagon! Recently, CKNA won the Creative Engagement Grant from SEUplift for our pilot project, The Welcome Wagon. Hearkening back to a time when everyone knew each other on their block, The Welcome Wagon is a contemporary nod to this time. How it works: Block captains sign up to take a welcome wagon gift to new CKNA neighbors! The gifts will be supplied by donation from some of our fabulous local businesses. Also contained in the gift is a magnet from the Creston-Kenilworth Neighborhood Association and perhaps some literature, from time to time, about upcoming events such as: Movies in the Park. Who Can Join: Anyone who lives inside the borders of CKNA and will gift give to neighbors inside our borders. Not that we don't love our neighboring associations but our grant only covers so much…We encourage people who live in apartment complexes to sign up, as well as house dwellers. What to expect: We are not expecting any single person to take on a large area. Choose a comfortable area and sign up! This is brand new therefore, most of CKNA is still up for grabs. We are not expecting anyone to evangelize about neighborhood association meetings (unless you really want to..). This project is really about connecting our neighbors to each other and to our local businesses.